I snapped a couple of pictures of myself just before heading to the starting line with all my gear on. It was about 6:15 am and still pretty dark out. As nervous as I was at this point, I was also pretty pumped. At approx 6:40, a nice man behind a megaphone announced "GO" and we were off. 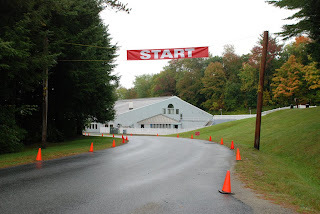 The first half mile or so was the only real paved section of the course. I was jogging so slow, that I was practically walking. As much as I wanted to run, I knew that I had to be ultra conservative. This was very tough for me. I was watching everyone pass me, and by the time we hit the first dirt road about 1/2 mile in, there were only about 5 people behind me. I was for all intents and purposes....dead last. I knew that 30 miles later, all those idiots who tore out of the starting line, would be hurting. (and I was right). My goal for this race was always to simply finish in the 12 hour limit. The first 3-4 miles were all on dirt mountain roads....mostly flat. I hit the first aid station around mile 4 and took a good amount of time enjoying some food and HEED drink. I allowed myself extra time to just talk with some of the volunteers and simply take it all in. I was distracted quite a bit with all the changing fall colors. I eventually got going again and headed off. It was another 4 mile or so to the next station, so I wasn't worried about water. I popped my first salt tablet and was off. nked triathlete. Tammy is an established ultra runner, but was purposely running with Sara to keep her from going out too fast. She was monitoring her own heart rate, and keeping Sara in check. I kept pace with them both and began talking with them about ultrarunning. I figured if I was going to get some tips, who better to get them from than an established ultrarunner that is also a physical trainer? Aid stations started going by one by one, and pretty soon we were at the 26 mile station.....the Jimmy Buffett Station (affectionately named so because of the costumes and music). At this point Tammy and I were still holding a nice comfortable pace, but we could tell Sara was itching to kick it up a notch. Tammy told her at mile 30, she was free to go ahead. Tammy and I walked away from the station and began our slow jog again. By this point we had a great system down. 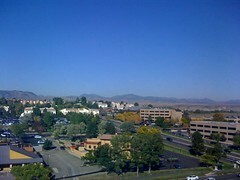 slow jogging on flat sections, moderate running on downhills, and quick hiking up the steep uphills. The second half of the course was definitely nicer as far as climbs. It seemed that there were finally some nice long flat sections that were mostly single track. Once we got to around mile 35 I started noticing that we were literally all alone. As far back as I could see, and as far forward as I could see....it was nothing by forest. It was kind of spooky. It was literally just the two of us, in the middle of nowhere Vermont....A feeling that one can never get in a road marathon. Something else dawned on me at this point in the race. 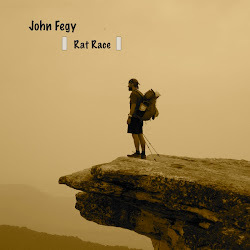 The longest day I ever had on the Appalachian Trail was 35 miles. I had now officially moved, under my own power, farther in a single day than I ever have in my life. It was a pretty humbling thought....but it also made me feel pretty darn good. Pretty good accomplishment, I thought....even if I don't finish.We passed two more aid stations and finally rolled into the last station at around mile 46. It was 4 miles to the finish line and I was completely out of gas. I told tammy that I didn't think I could stay with her anymore. I figured at this point, even if I walked the last 4 miles I would just finish in under 12 hours. She told me that the last section had a lot of climbs and that she'd be walking a lot anyway. We started off together walking the uphill out of the station. About a mile later it flattened out and we started a very slow jog. I was able to hang with her, but it was really hurting. I stopped with all conversation at this point, because I was so absolutely exhausted. With 2 miles to go, a huge thunderstorm opened up and it rained hard for about 10 minutes. Of course....Murphy's law. I didn't mind the rain...in fact I quite liked it. The problem was, that for an already beat up course (from the moutain bikes), the rain turned the last 2 miles into straight up mud. We tried to run the mile from 48-49, but couldn't because we kept slipping and falling. We rounded a turn and the trail finally became runnable again just as we saw a sign that said "Grace's Hill - 1 Mile to Go". I looked at my watch and saw that we were just at a little over 11 hours. I knew at this point that I was going to finish. We made the final climb up Grace's Hill and Tammy told me that the last 3/4 of a mile were all flat and downhill....so with the last little bit of energy I had, I mustered up one last little jog to keep up with her. As we rounded the last turn under the ski lifts, I could see the finish line and I felt an immense adrenaline rush. Tammy looked at me and said, "go ahead and finish in front of me so that you can get a good photo finish". I told her that there's no way in hell that I was going to have her let me finish first. I slowed up and insisted that she finish first. After all the help she gave me with keeping myself paced...it was the least I could do. Besides, her husband was waiting at the finish line and I wanted to make sure I was far enough back so that he could get a good picture of her sprinting the last 50 yards. I turned around just as she was crossing the line and noticed that someone had finally caught up to me and was only about 20 feet behind me. I put my last bit of kick on and crossed the line in 11 hrs 18 minutes with my arms stretched to the sky screaming like a school kid. I got my medal, walked over and thanked Tammy and saw Sara who was also waiting for us. Turns out she finished in 10 hrs 45 minutes (Over a half an hour ahead of us). I hobbled my way over to the food tent and ate two platefuls of pasta and simply sat down for a good 30 minutes. 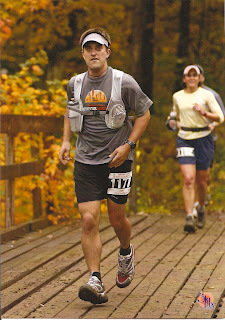 This was probably the best ultrarun I could have picked to do as a first attempt at ultrarunning. The course was fantastic, and the aid stations were plentiful. is exactly what I did. Ascutney by 4 PM in order to register for the race.....because technically I hadn't registered yet. day. I went out for a short 3 mile run to make sure all my equipment was good....and just to loosen up a bit. Being my first ultra, I wasn't sure what I needed to carry, so I bought a very small Nathan water pack to carry my gels, nuun, salt tablets, gloves, and wind shell. It turned out to be a good purchase. Later that night, the campground was having a huge potluck dinner, so I brought a couple of large bags of chips and ate a ton of pasta. I called it a night about 9 pm. the mountain bikes started heading out. For the next half-hour there were steady streams of bikes crossing the start line ranging from expert single speed, to clydesdales. I know nothing about mountain biking, so I found it quite fascinating to see all the different classes. At about 6:40 I toed the line and the director gave us final instructions over a megaphone (of which I didn't hear anything). 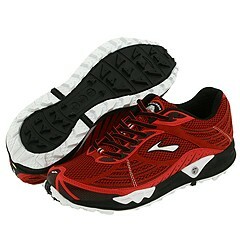 Brooks Cascadia 3 - Awesome Trail Runners! 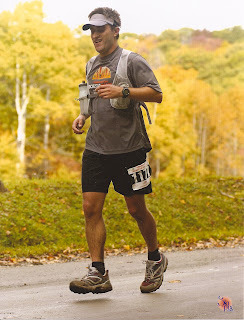 Last year I hiked over 2200 miles wearing Montrail Hardrock trailrunning shoes. 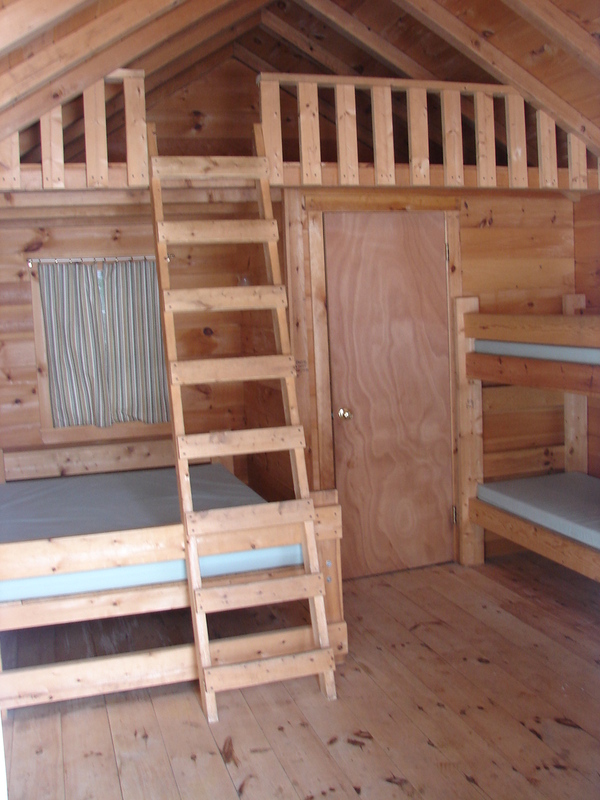 They were sturdy, comfortable, protected well against rocks, and drained water well. I literally couldn't say enough great things about them. This year was a different story though. I bought a new pair of Hardrocks while in Colorado, that I planned to wear while hiking the almost 500 miles of the Colorado Trail. I actually started the trail with a pair of GoLite Sundragons, but they fell apart due to a manufacturing defect after only 75 miles. I realized that I shouldn't have messed with a good thing anyway, and bought the Hardrocks in Breckenridge. After about 50 miles in them though, both my ankles started to get extremely sore. It got so bad at one point, that I had to hike for an entire day in my crocs. I just figured that I got a stiff pair or maybe they just weren't broken in yet. I hiked through it and finished the trail. 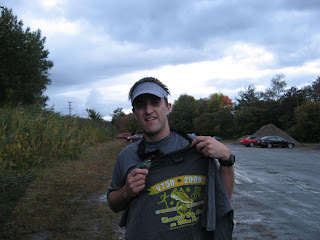 about 2 weeks ago, I ran in my first ultrarun: The vermont 50. I knew I wasn't going to wear my Asics Gel road running shoes, so I went to get a new pair of Montrails. This time, I opted for the slightly less clunky continental divide shoe. At about mile 30 of the race, I was greeted with that familiar ankle pain. I'm assuming that Montrail has changed something in their design this year. I had no problem with brand new Montrails last year right out of the box causing any kind of pain. After the race, I spent nearly two weeks researching new shoes. I'm a pretty neutral runner (don't over or under pronate) and I wanted something that wouldn't rub funny. After trying on numerous pairs of runners at various stores, and after reading hundreds of reviews, I finally settled on a pair of Cascadia 3's by Brooks. I've only had them out a couple of times, but already, I can say that they are extremely comfortable, and they do not rub on my ankle bones. I am looking forward to taking these out on a long test run, but so far....I am really happy with this purchase. 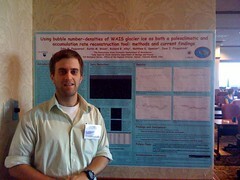 Me and my paleoclimate poster! My poster and data went over well here at the WAIS meeting! I had to present my current Masters Research on climate change over the late Holocene in West Antarctica. At one point I had to explain and answer questions from the NSF representative responsible for my funding. It was a bit stressful. I held my own though and hopefully made my advisor Dr. Richard Alley proud. On a side note, I have officially PQ'd for Antarctica and leave on Thanksgiving Day!! woo hoo!